The Class Y developed during the course of decades. 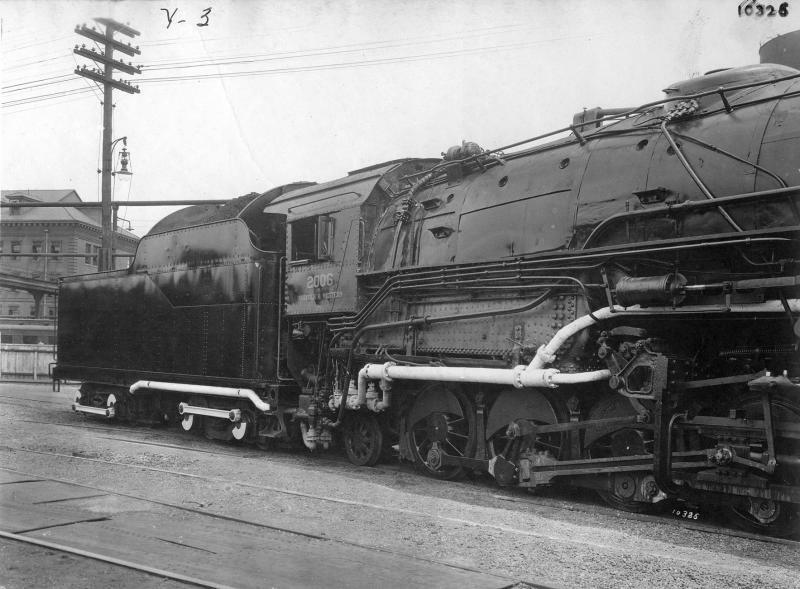 Ninety class Y3 were built from 1919 in the Schenectady shops for the Norfolk and Western RR. 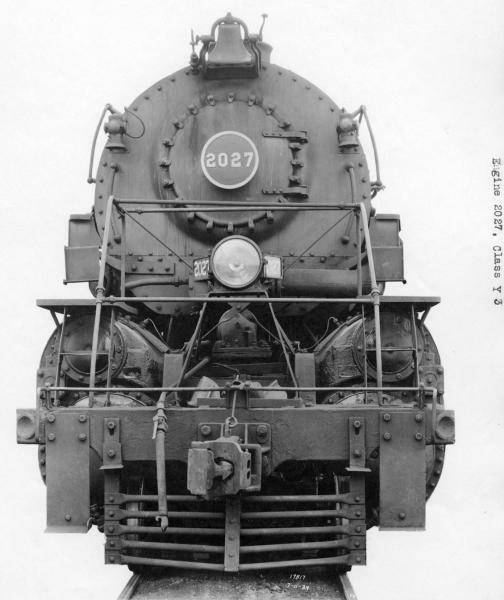 During WWII N&W sold its surplus of hauling capacity among others to the Virginian RR. The last Y3 ceased in 1959. 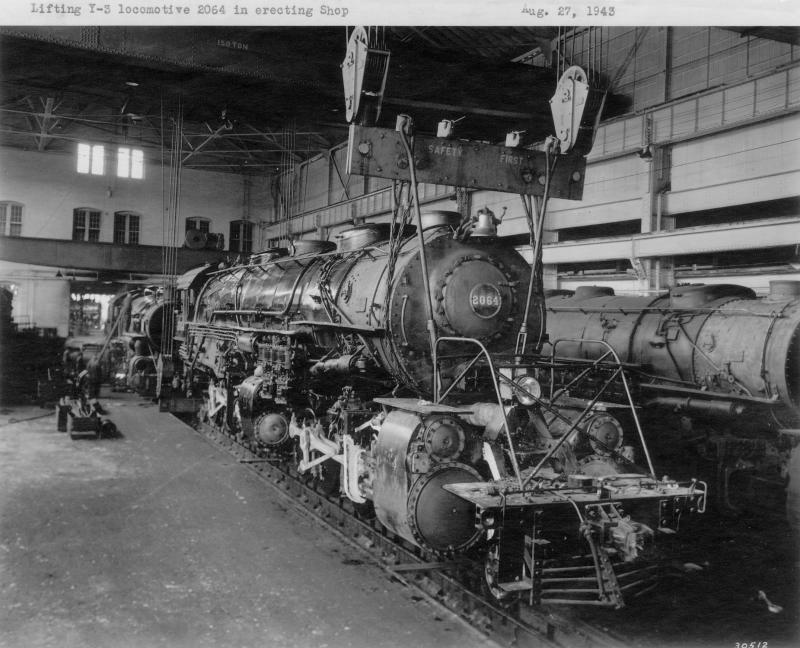 A booster engine for steam locomotives is a small two-cylinder steam engine back-gear-connected to the trailing truck axle on the locomotive or the lead truck on the tender. A rocking idler gear permits it to be put into operation by the engineer. It would drive one axle only . They were used to start a heavy trains or maintain low speed under demanding conditions. It could be cut in while moving at speeds under 15 mph (24 km/h). Rated at about 300 hp (224 kW) at speeds of from 10 to 30 miles per hour (16 to 48 km/h). It would automatically cut out at 30 mph (48 km/h). Tractive effort of 10-12,000 lbf (44 to 53 kN) was common. Simple: its awesome. It runs terrific, it weighs, and it is smooth. This is as much as a serie production model can give. Never have I seen such detail and accuracy. And I will never forget the moment it first set into motion. The view of the complexity of the motion. Its running capacities are characterized by a striking silence. Its flywheel does a terrific job. The European street price is about 450 euro, not actually cheap but its well worth it. It turns Märklin or Fleischmann to pity toys. This is the real thing, coming really close to brass models. Like almost all mallets in model this model is not prototypical in that respect that both sets of drivers swivel at some point just off center of each set. A real mallet had the rear set fixed in the frame and only the front set swiveled at a point between the rear cylinders. This is a compromise for operational purposes.